Home > Overview > What is a Gluten Allergy? A gluten allergy is a food allergy. Gluten is found in barley, rye, wheat and some other oats. Many people around the world are allergic to this substance. By consuming the foods that contain this ingredient they risk an allergic reaction. Since the ingredient is in so many products the illness can be difficult to manage but education in the key to leading a happy, safe life. What are the Symptoms of Gluten Allergies? Symptoms for food allergies like gluten allergies differ considerably from person to person. The symptoms are never textbook and also differ considerably in their severity. Some people may suffer a little bloating and some bowel discomfort while others may be severely affected by their allergy. It is important to know what the symptoms are in order to know whether or not you may have a gluten allergy. Gluten allergy symptoms vary. You may experience skin problems from slight rashes to uncomfortable, itchy hives. Another common symptom is tiredness. If you are tired a lot of the time this could be down to the gluten in your diet. Bowel problems are a common symptom of gluten allergies. You may experience constipation, diarrhoea and bloating. Sufferers could also have mouth ulcers and weight loss. More sever symptoms include osteoporosis, anaemia and slow growth in children. Gluten allergies can also cause mental problems as well as physical. Depression is a common symptom of gluten intolerance in some severe cases. Autism can also be a result of gluten allergies and both children and adults with the disease could suffer from attention and behavioural problems. Since symptoms vary considerably it is quite possible to have a minor allergy that causes you very little discomfort. You will know yourself whether having a little gluten in your diet is a major problem or not. If you can enjoy some gluten products even with your allergy then you should continue this. The allergy is unique to you. Gluten allergies are more common than one might imagine. Some estimates say one in every 110 adults have the illness. It is also thought that one in every 160 children have the illness. Of these sufferers some will have the serious symptoms while others will have only minor effects. Gluten allergies can be detected through various tests and methods. One of the most common is by blood test. However there is also a test that involves a minor operation called an Endoscopy. Getting a test will help put your mind at ease. Often people who are suffering from discomfort or frequent illness can make themselves even more ill by worrying about what it is that is causing them to feel that way. Finding out what the cause is helps them to understand their feelings more and learn to adjust to their new lifestyle. If you think you may have a gluten allergy then speak to your doctor and ask him or her if you may be able to have a test to discover whether this is the case. If it is then try not to worry, with the right knowledge you can live quite normally. There is plenty of gluten free food products available so you will not have to feel like you are sacrificing too much. This site refers to allergies & intolerances as if they were the same. I would just like to say that allergies and intolerances are not the same. 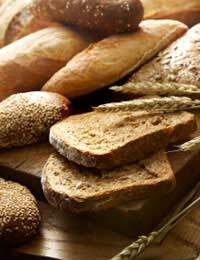 Gluten intolerance is known as Coeliac Disease which is an auto immune condition where gluten affects the small bowel & flattens the villi in the gut, therefore causing malabsorption, iron & other deficiencies with varying & differing symptoms.